Choosing a place to travel to and listing out all the key destinations you need to visit are very easy tasks. You can just pick out which country you have been meaning to visit, say New Zealand, for instance. Do a quick Google search of the must-visit places and what to do there like sight seeing by Lake Wakatipu, get a car hire in Christchurch, or do an alpine hike. But getting the best kind of accommodation might take you a while to do. Some may consider it an easy task; but with the number of accommodation types available for you these days, it can a bit of a doozy. Here we list down the different kinds of travel accommodations that you can choose from if you are on a budget. If you want to have all the amenities and facilities during your trip. Then a vacation may be the best choice for you. They have services that can make you super comfortable and relaxed after your trip outside. Contrary to popular belief, hotels can be cheap. You just have to consider their location and hotel classification. Also make sure to check if they have discount promos available so that you can reserve rooms for multiple nights without breaking bank. This is becoming a very popular choice recently. Short term rentals is what others fondly call an airBnB. This is literally your home away from home. Locals would rent out their homes or apartments for travellers. Again, the price range would depend on the location, but it is relatively cheaper than a hotel for sure. The best part is you can bring in food to cook and prepare for yourself while enjoying an unobstructed view and experience of local life. These are dormitory style accommodations where you share the rooms with other people. It is a very popular choice for backpackers on spring break vacation that are only going to stay for the night, or other budget travellers who do not mind the company. Do not be dismayed by its dorm style arrangement, there are hostels that provide a unique setting that can compete with low star hotels. Another home away from home setting is couch surfing. This is where people open up their own homes and allow you to live with them. This could be fun for travellers who want to learn more about the country they are in. While this is not something most families would choose, couch surfing with your kids is not impossible. You simply have to look for the right host. There are websites that can help you find a good home to stay in like Stay4Free, Hospitality Club, and Global Freeloaders. To avoid dangerous situations, make sure that the person’s profile is complete, that they have a picture of themselves uploaded, and that there are reviews from trusted travellers on their page. You can always opt out once you see their place and feel that you want a different accommodation. The best part about knowing all of these is now you can choose an accommodation that will fit your travel budget and itinerary. So look at your plans again and see which one will be perfect for you. Happy trip! Thanks for the information you have provided in your blog as it proved to be very helpful for me in start writing my own blogs you have provided in this blog as it proved to be very helpful to me. I am aspiring to start writing blogs but I wasn’t sure of what but this post’s content and presentation has led a spark in me. Great article! 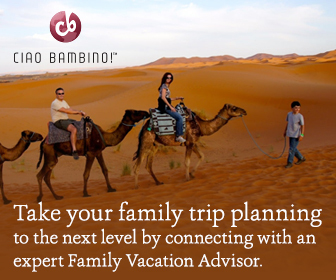 There are so many more options today for families beyond the traditional hotel stay. One category not mentioned here is unused timeshare. These accomodations are the perfect hybrid between hotels and airbnb rentals. Families are able to get all the service of a hotel (think pool, front desk, toiletries, and onsite dining) along with multiple bedrooms, kitchens and comforts of home – all at an unbeatable price! Because there is an abundance of unused time that goes to waste otherwise every year – families can now rent these suites direct from owners or property managers without attending the dreaded timeshare tour, or worse – purchasing one.